My friend commissioned me to do a portrait of her. 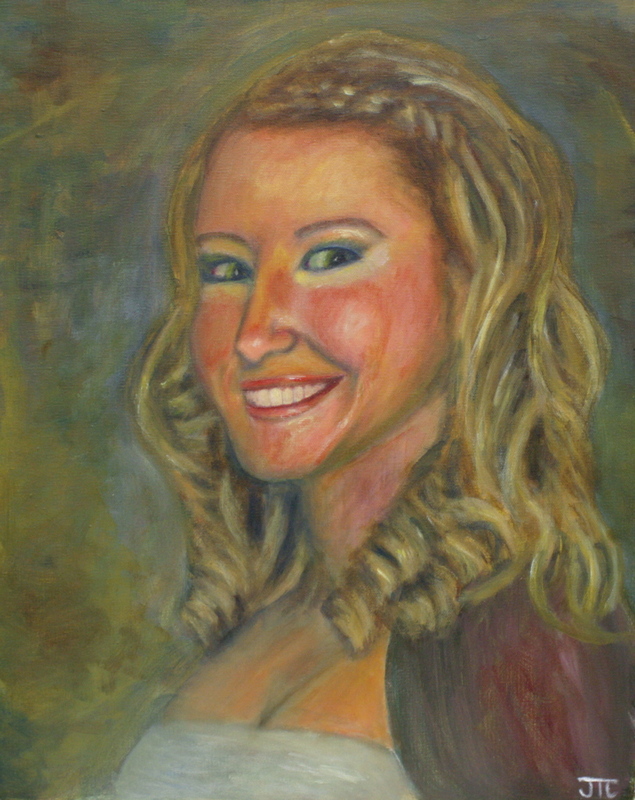 I just bought a tube of Yellow Ochre which worked out perfect for her hair and high lights on her face. I had to hype up the colors a little to give it some life. As my teacher Mick Sheldon said I’m a “Natural born expressionist”. Red and red-orange against the blue-green back ground gives it excitement and Crystal has that in her personality for sure!